These devices are relatively new on the market, and many people haven't seen or heard of them. 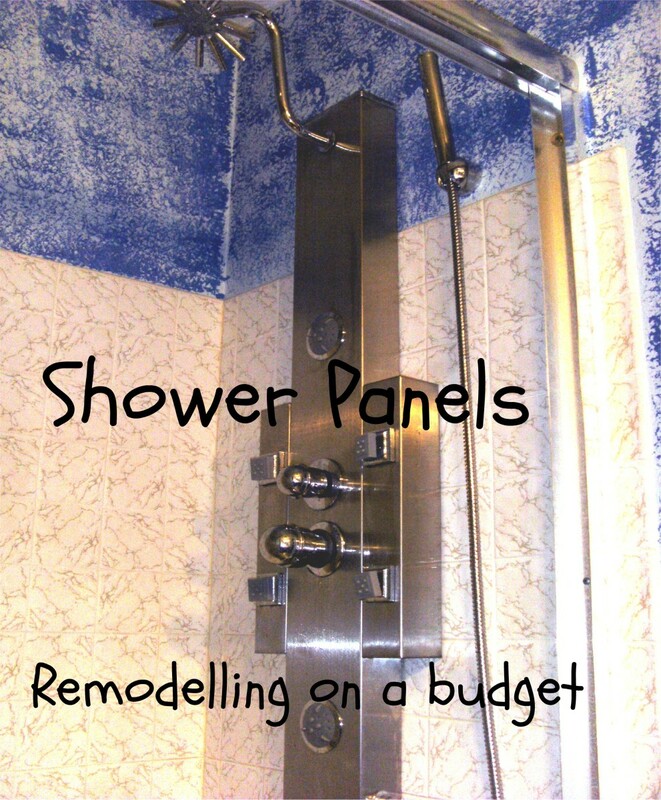 Just what is a shower panel, and what is a retrofit panel in particular? 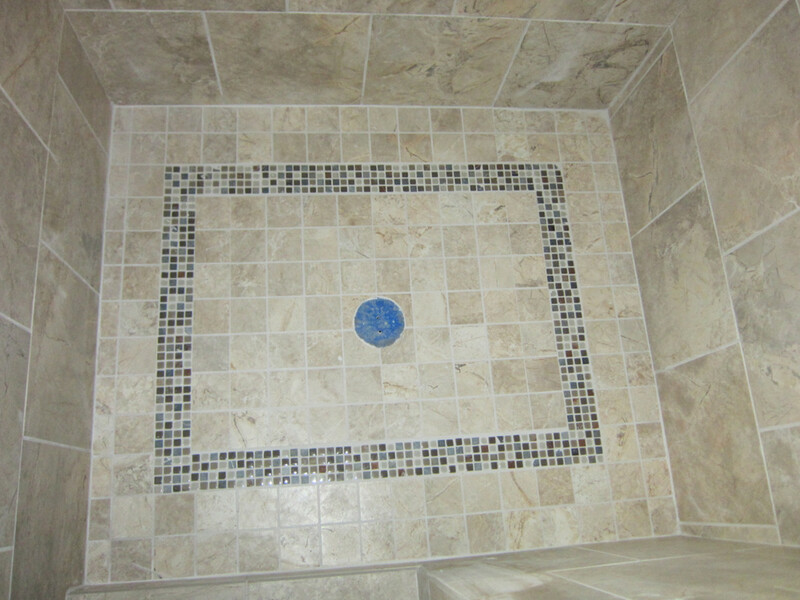 Shower panels are devices designed to replace the shower head in your tub or shower. 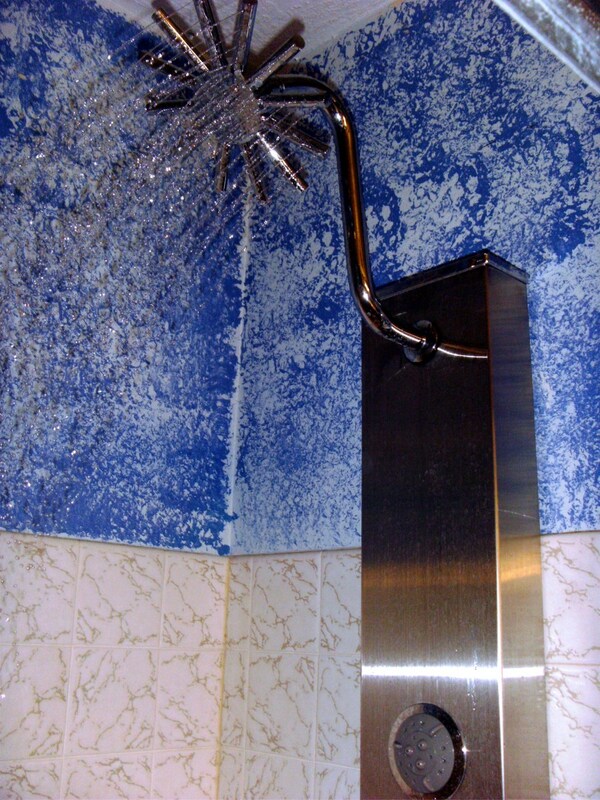 An attractive panel—usually of stainless steel, aluminum or glass—is hung in the tub or shower enclosure and will typically have several spray heads spread over it. 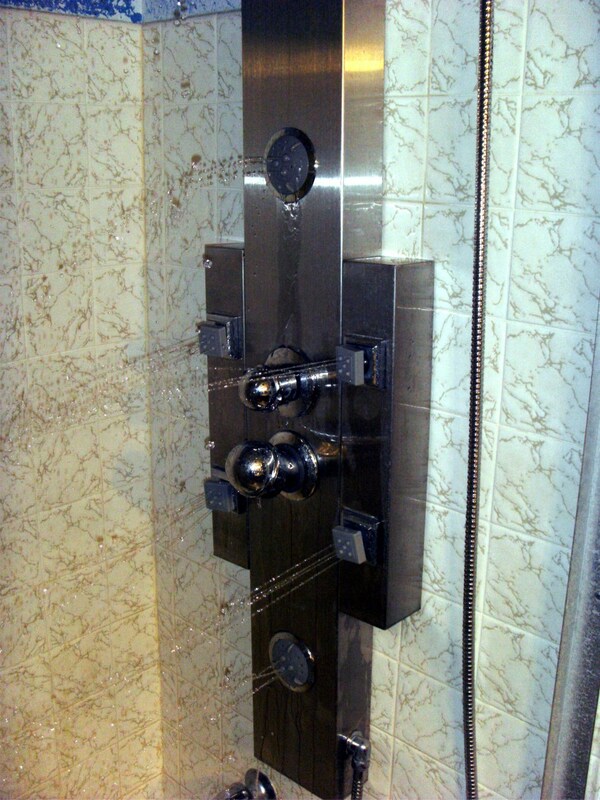 The photo above is fairly typical of shower panels in general. Adding a shower panel is ideal for those doing a bathroom remodel on a budget; they are relatively inexpensive and easy to install. Most shower panels, however, are designed to be installed during the construction phase of the bathroom and are difficult (though not impossible, as we will see) to install years down the road. 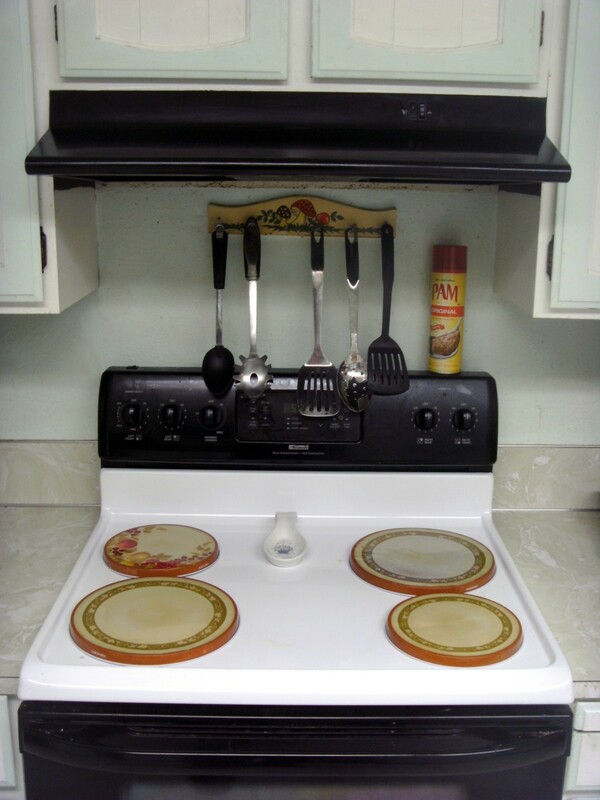 A retrofit panel, then, is one designed to be easily installed long after the home is occupied. The following photos and text will give you a better understanding of what the panels can look like and how they might operate. Installing one of these great panels is very easy, at least if it is of the retrofit type. The next section will detail what was necessary to install one that wasn't, and it was considerably more difficult. Although manufacturers will always vary some, the typical panel will be hung on small brackets fixed to the wall, either by fastening to a stud if there is one available in the right spot or by the use of anchors. The panel shown below is installed over ceramic tile, which made it necessary to drill ¼" holes in the tile (for which a special drill bit had to be purchased), but that was the only difficult part of hanging it. 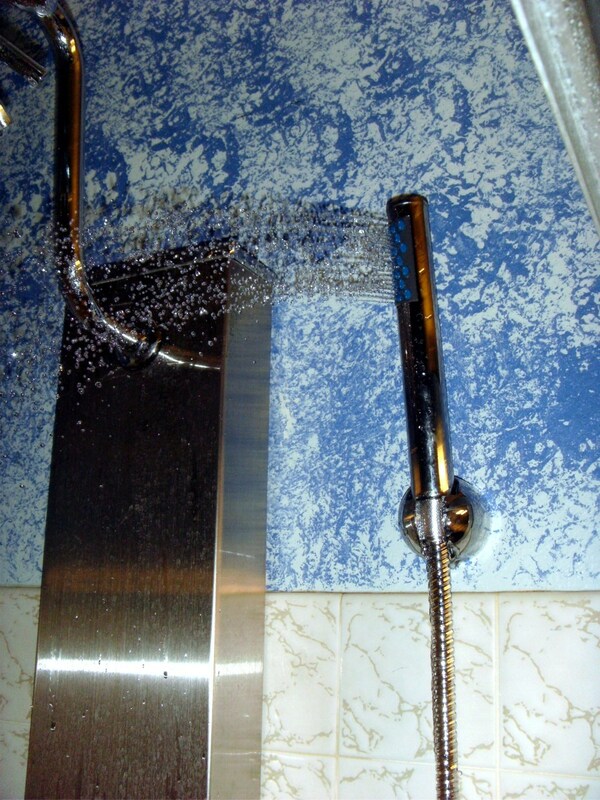 Plumbing a retrofit panel usually means removing the existing shower head and replacing it with a hose or pipe that will feed water to the panel. 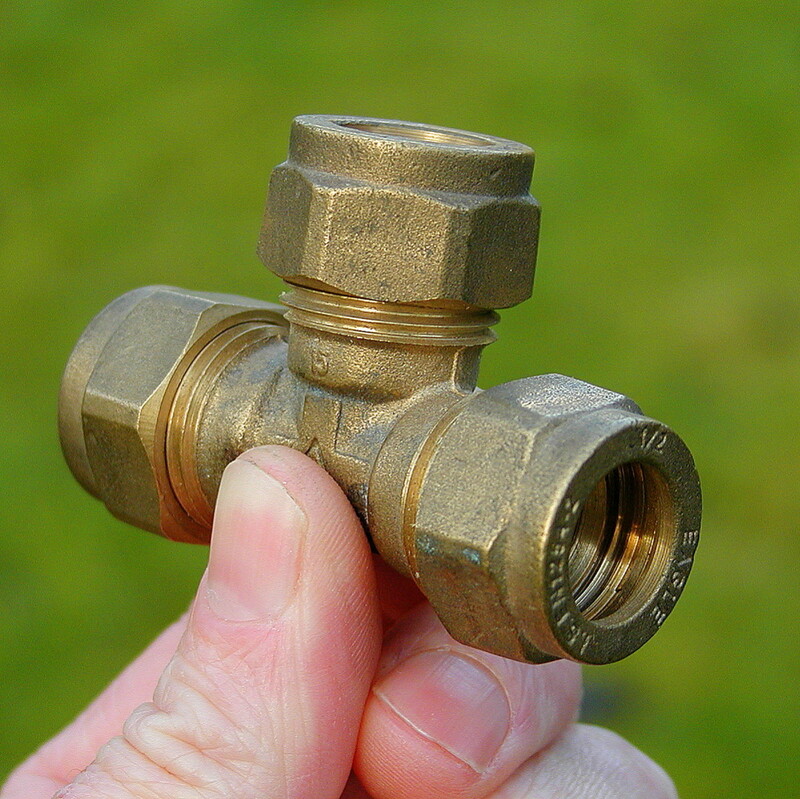 This means that existing valves will still be used to turn the water on and adjust the temperature, but in exchange it is very easy to do. After connecting the water supply, the panel is simply fitted over the previously installed brackets, and the job is complete with no further installation necessary. Total time should be under half an hour. 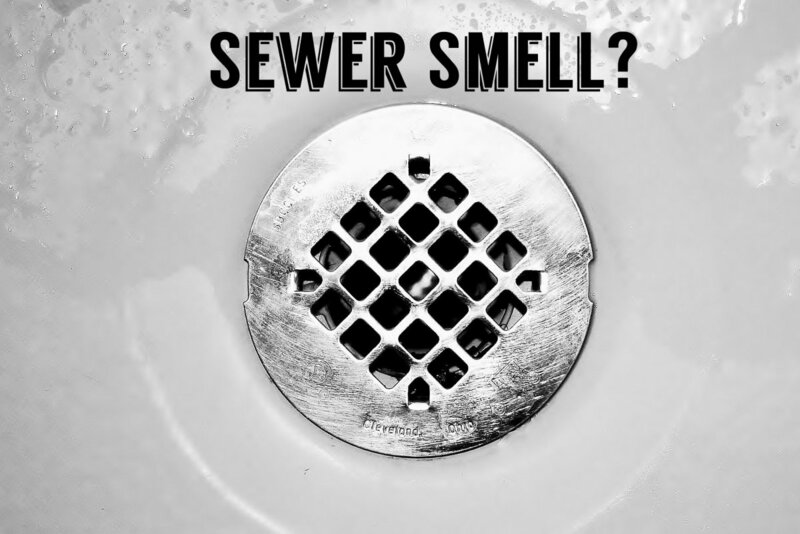 You will probably need a good pair of pliers or a pipe wrench, a drill and bit, a tape measure and a screwdriver—all tools you likely already have in your tool kit. Teflon plumbers tape is advisable for sealing pipe joints, but most hoses won't need it. Many tubs and showers have ceramic tile on the walls. A special diamond drill bit must be used to drill the mounting holes for your new panel as a regular bit will at best do nothing and will more likely crack the tile and ruin it. The most common size necessary is ¼", but some manufacturers panels may require a different size bit. Unless you know what size will be needed it might be better to buy a small selection. 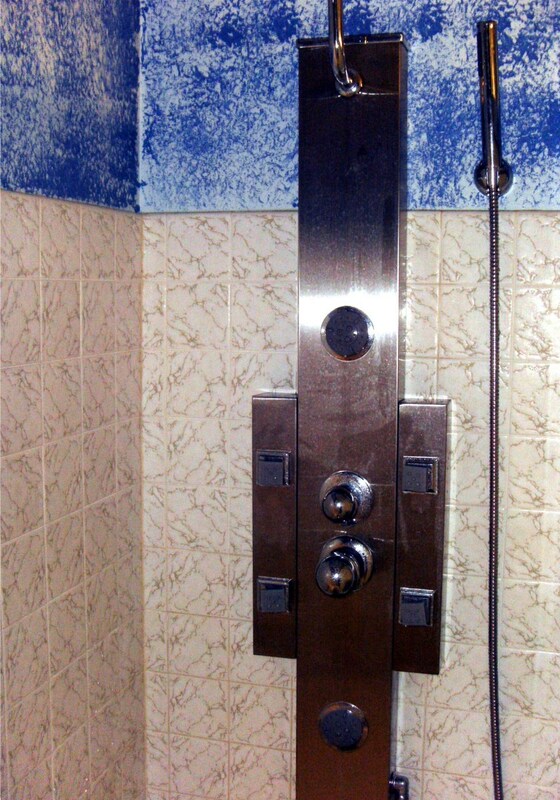 The non-retrofit shower panel shown here was purchased as a Christmas gift by someone with no knowledge of installation. Nevertheless, it was decided to modify the connections somewhat and see if it couldn't be used rather than returning it and choosing something in a retrofit style. 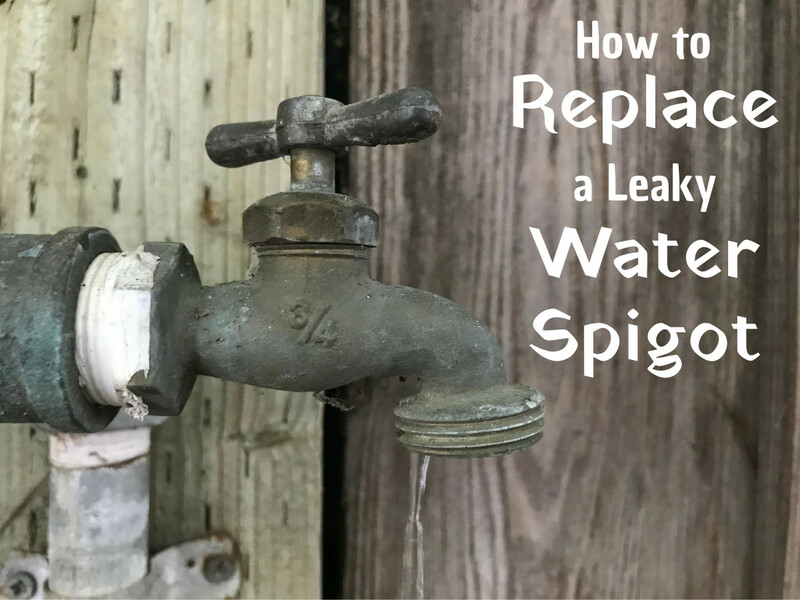 It came with hot and cold water hoses that were supposed to replace the existing valve, but it would have meant tearing out the ceramic tile and replacing the wall; some other method of providing water to it had to be found. The old shower head was removed and a special PVC plastic water pipe fitting was installed in its place. The fitting was a Y, with one part of the Y screwing into the place the old shower head was and with the other two legs pointing down at an angle. Additional PVC pipe was added to lengthen it to the point that the hoses in the shower panel would reach, whereupon each hose was attached to the plastic pipe. The end result was some extra piping that allowed water to enter the panel through the old shower head that was all hidden behind the panel so as not to be visible. This means that the main water valve in the panel must be left on but is otherwise useless; water is turned on and temperature adjusted via the old faucet and tub diverter. 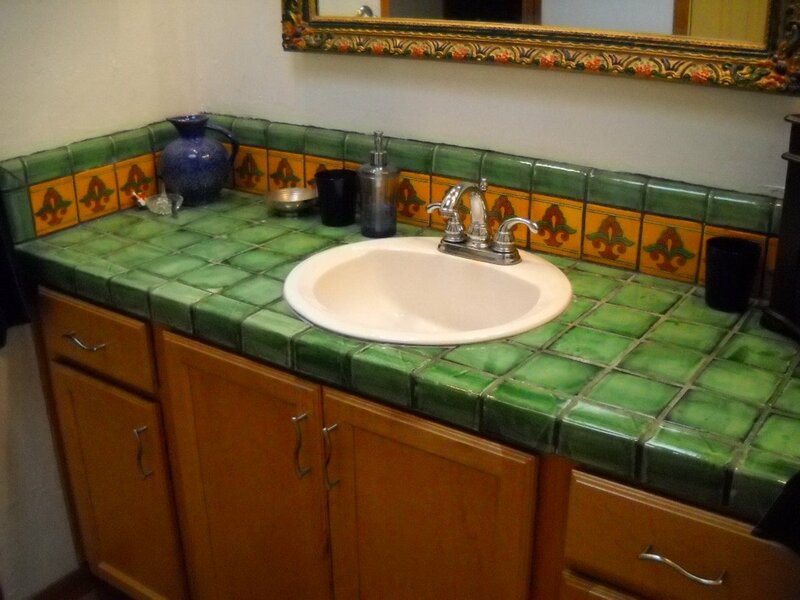 It wasn't the best arrangement possible as the old faucets and tub spout are still in use, and visitors sometimes have a little difficulty with it, but it works and isn't unsightly. Any non-retrofit panel that you might use will need to be modified in some way unless you have access to the piping inside the wall as that's where they are designed to hook up. Jury rigs, such as was used here, are often possible but of course there is no guarantee of that. If you don't want to open the wall, a retrofit shower panel should be purchased if possible. If your bath remodelling project is on a limited budget hiring someone to open the wall and restore it while also hooking up the plumbing may be out of reach, but the retrofit shower panel may not be. 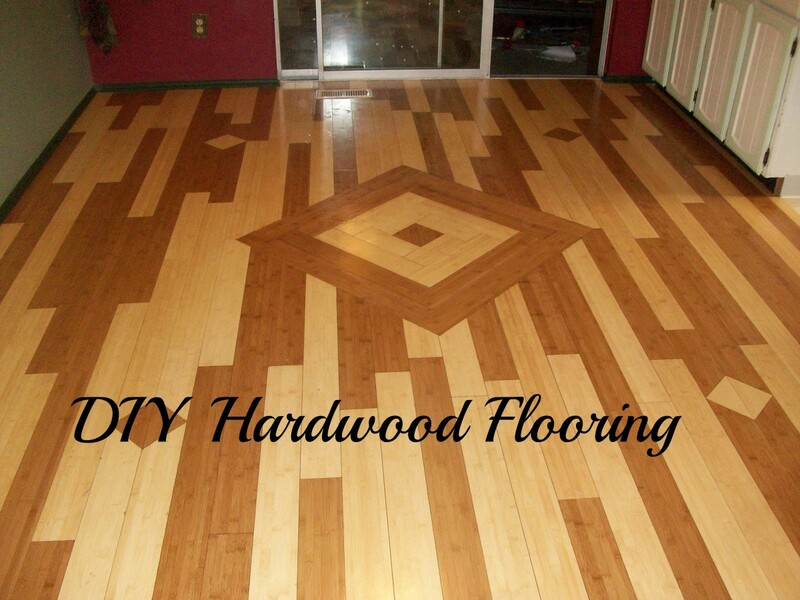 Or if you are handy at home repair, you may able to modify the hookups similar to what was done here. Glad you enjoyed it and you are more than welcome. So well informed and interesting so thank you for sharing and enjoy your day.